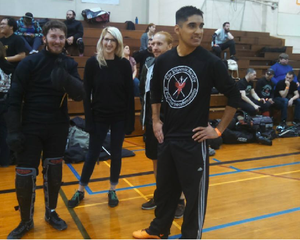 Phoenix Society Students at a tournament. The last article I wrote on teaching discussed the concept of monitoring and adjusting. As in war, all plans fail upon the first point of contact, so one has to improvise. This article deals with having aligned goals. I once met a student from the High School I teach at who said, when he was done with school, he was going to be a mechanic. He told me all about the types of cars he was going to work on as well as how much money a mechanic for high-end vehicles make. I asked what the student had done to achieve his lofty goal. Had he taken any automotive classes? Our school offers them. Had he gone to the off-campus school which taught trades? We offered that as well. Had he spoken to the mechanic at the school? He was there, ready to dispense wisdom. The student explained to me that he did not need to do that because he would be trained by his dad, or a friend, who he assured me had great expertise. I asked if either of them were mechanics for a living? The student was not to be dissuaded, however. Today, many years later, he is still not a mechanic nor will he ever be one. The student had misaligned goals. We may have spent too much time telling people, “You can be whatever you want to be.” When in truth we should have said, “You can, with hard work and some luck, probably, be whatever you want to be.” I understand that the first statement is easier to remember and sounds better, but it is also not true and setting students up for failure. Students today, both in the classroom, and in Historical European Martial Arts often believe having a big goal is all that is needed to achieve success. The bigger the goal the bigger the success, right? I’m going to win all the tournaments this year! This is a recipe for disaster and called a misaligned goal. It is a goal that is big and impressive sounding, but cannot be achieved without hard work and some luck. In HEMA, the tournament-scene is often where lofty goals are thrown about. However, everyone wants to win and in the end, there is only one winner in a given tournament. In a tournament of over one hundred people, only one of them will get that fancy plastic medal at the end. Students who pin their dreams to winning a tournament of that size have misaligned goals. Everyone in a tournament wants to win. Winning is not a proper goal. Winning is everyone’s default mode. Even those who do tournaments ‘just for fun’, are not walking out expecting to lose every match. A teacher should realize this and find ways to guide their students properly. Students at the Phoenix Society of Historical Swordsmanship come in all sorts of shapes and sizes. We have giant men who are well over six feet tall, and girls of diminutive size and feather-light weight. These students all have different strengths, weaknesses and desires. These students need proper goals and every student’s goals are a bit different. In the case of the students who are active in the tournament scene, I do not approach them and say, “You need to win.” Nor do I want the student listening to Rocky music thinking about how they are going to hold a gold medal in the air. Instead, I want students to work on the skillsets necessary to win. If they improve and get better at fencing then the medals will come all by themselves. An example is one of my students who I have had the pleasure of teaching for nearly ten years. He is strong, fast and tall. As I have taught him, I have worked on guiding him to fencing safer and more efficiently against larger opponents. I watch him spar and afterwards have advice on how he can do better. Sometimes that advice is a simple acknowledgement that they are doing fine and should continue to fence as they are, other times that advice is about how to be less linear, or how not to change guards while in measure of a fast opponent. In our ranking system, he needs medals to advance. Yet, we never stress that. That is an end goal that he needs to achieve, not by wanting to win the medals, but by doing the hard work of improving his fencing. When it comes time for him to fence in a tournament, his many instructors at the Phoenix Society are supportive of him. We want him to perform at his best, but never would we indicate that he ‘has to win’. He wants to win already; he doesn’t need to be told that. We want him to fence well and adapt to his opponents. I’m not saying I got a little bit teary eyed when he won his first gold medal; just that something was in my eye. Another example is one of our larger students. He towers over me and I’m six feet tall. He is big. He is powerful. 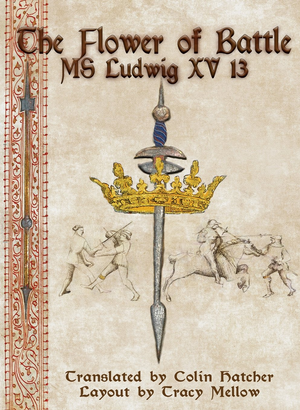 And he fenced with the longsword with a level of caution and concern that was holding him back. In this case, the student was not using his natural gifts correctly and thus hamstringing himself. For him, I set a goal of learning to use his size and strength. I encouraged him to close, I encouraged him to take passing steps, and I encouraged him to bear down hard on his opponents. Safety held him back, but I assured the student were he to get unsafe, I would step in. Today, that student has learned to successfully close and do quite well there. While it is a scary thing for most of his smaller opponents, the student still has a high level of regard for the safety of his partners and so no great injuries have occurred. That student recently came to me and said he had been closing well and so much so, that his opponents were adapting to it. He told me that it was time for him to work on winning at a distance. I’m not saying I got a little bit teary eyed when he achieved his goal and set another; just that something was in my eye. Another student of mine is a small woman. We could fit her in carry-on luggage if we had to. (We checked) She is fast, but lacks in power. Her stature is so small that giving her the goal of getting stronger is misaligned. She could drink protein shake after protein shake and lift all the weights she wants, but that won’t match the strength of her opponents. Were she to have the goal of ‘get stronger to do better’, it would be misaligned. She is already about as strong as she could get. Rather than try to swim upstream, my goal for her is to move offline so that the power and strength of her opponents, who will almost always be stronger, can be mitigated. Time and again we work on the difficult task of avoiding the strong strikes of the saber or longsword, rather than meeting them head on. One of our shorter instructors is her spirit animal. Each session she gets a little better at utilizing her speed to overcome the power thrown her way. Meanwhile, another student is a woman who gets very tired when using a saber. It is clear that her arm-strength is lacking. Here, the goal of strength training is aligned. She has not yet developed sufficient muscles and so I encourage her to lift weights, spar and work out her arms. Each session she gets better at building up those muscles and each session she can fence a bit longer without getting tired. As an instructor you may find it difficult to set goals because there are so many different types of students. There are a few ways to work around this. A Canadian school I visit, for example, has broad goals for all the students. They do cardio and strength training every session every time. This helps everyone improve. After that they work on a specific skill set for everyone. Only after that do the instructors start fine tuning the myriad of students. In this way, large classes are given broad goals and just a little bit of adjusting at the end. Another method is to have many instructors. At the Phoenix Society we encourage are students to teach. One way they do this is to practice a sparring method that gives each student feedback. The students line up to spar. The first student spars everyone in the line, win or lose. After that, all of the students gather. If I am present I give feedback to the student on his or her performance. If I am not present, then the students give feedback to one another. The process repeats until every student has fought and been reviewed either by an instructor or his peers. For the sake of safety, I make sure a rather loud student is present to yell ‘HOLD!’ or ‘BREAK!’ should things go awry. However one does it, the students need a level of personalized learning to help work on achievable and aligned goals. Do that, and the larger goals will manifest on their own. A final part of having aligned goals and setting them is having a reward for it. Students need to know that they are doing well and making progress. A medal is one way, winning more than they lose in a sparring game is another, but one of the easiest ways for an instructor to reward their students is to tell them, face to face, what they are doing well at. A little bit of positive praise can go a long way, just like a bit of criticism can.